Given the ease at which you’re reading this, you’re obviously fluent at English. Can you speak another language equally well? Well if so, you could be overlooking a great career option. For every language combination, translators are in hot demand to translate everything from legal documents; to books; to subtitles for films; to audio recordings. Generally, English is required to be one of the languages, but which ever other language you speak will almost certainly be in demand. The other significant benefit to this type of work, is that it can often be performed from home, with flexible hours. The work is also very varied – and who know what interesting things you could learn from the documents you translate! With most companies operating globally, there has never been so much demand for translation services as there is today. 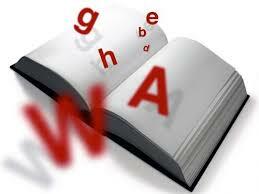 Many large, internationally renowned companies are reliant on translators for many types of work. Become established with a company and you could have regular work for all of their translation needs. As the work is usually based on specific projects, you’ll usually be paid for each translation you do, as you do it. This gives a lot of flexibility that could be particularly appealing to parents, students and anyone who wants to earn some extra cash. Another bonus to translating is the ability to try it out for size in your spare time. This was you can see how you enjoy it, before you commit to making translating a full time career. Who knows where a career in translating could lead – perhaps you could try your hand at teaching foreign languages too? Have you ever tried translating; do you think you’d be good at it? Which languages do you speak? I’d love to hear if it is a career option you’d be interested in trying. If you’re interested, there are some great translation agencies who can set you up and give you all the information you need.